Taxing marijuana presents new and unique challenges. That's why we've released two studies that serve as guides for legislators, the media, and the public as to the state of marijuana taxation today and the implications of taxing marijuana in the future. How has marijuana legalization proceeded in the first states? How are taxes levied and how have they changed? What can we expect each state to collect in marijuana tax revenues moving forward? This report serves as a checklist for policymakers as they consider whether and how best to build a tax system around this new industry. How much revenue could be raised if the U.S. legalized and taxed marijuana? How much revenue would come from business taxes and individual income taxes in particular? What other effects could marijuana legalization have on the U.S. economy? 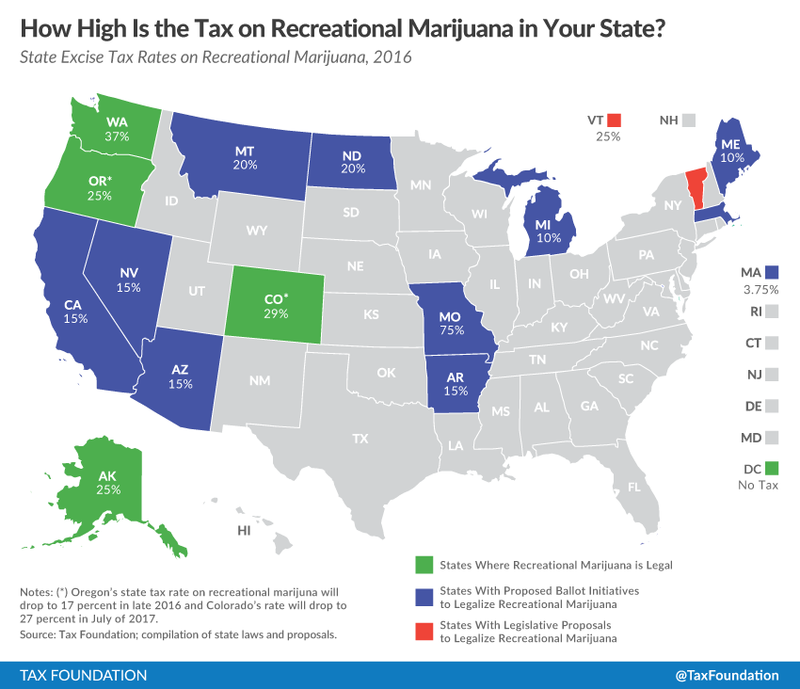 This report takes what we already know about taxing marijuana at the state level, and estimates the impact of legalizing and taxing marijuana on a national scale.